A mix of abstract patterns and textures, with muted greys and millennial pink. 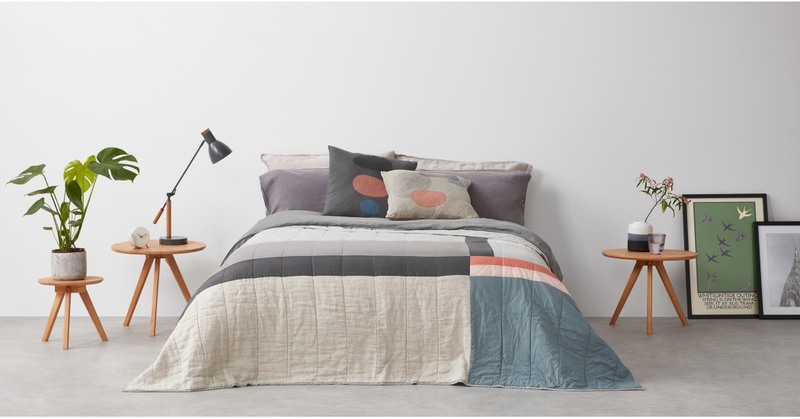 Your bed is about to get an artistic uplift. We wanted this bedspread to please all the senses, especially touch. So we’ve used cotton and linen on each of the shapes. Run your hands over it and feel the contrast. Cosy and quilted, this piece is perfect for snuggling into during the chilly winter months. We’re getting excited about the dark evenings just thinking about it.